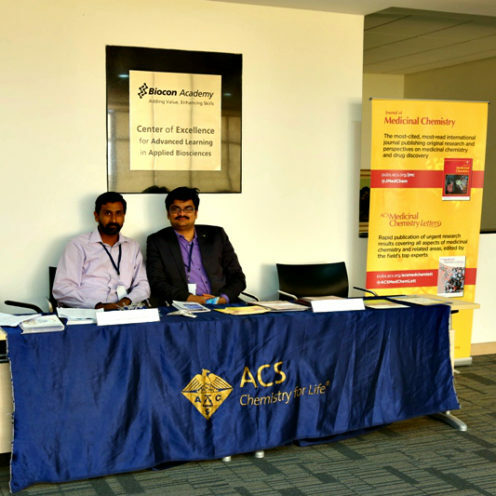 Journal of Medicinal Chemistry and ACS Medicinal Chemistry Letters were excited to join ACS Publications in supporting Medicinal Chemistry and Drug Discovery India 2017 (MCADDI 2017), a residential course in medicinal chemistry and drug discovery that was held Feb. 14 to 18 at Biocon Academy in Bangalore, India. The course was co-sponsored by the ACS Division of Medicinal Chemistry and the International Union of Pure and Applied Chemistry. Journal of Medicinal Chemistry Perspectives Editor William J. Greenlee joined Balu N. Balasubramanian and Syngene President and CFO M.B. 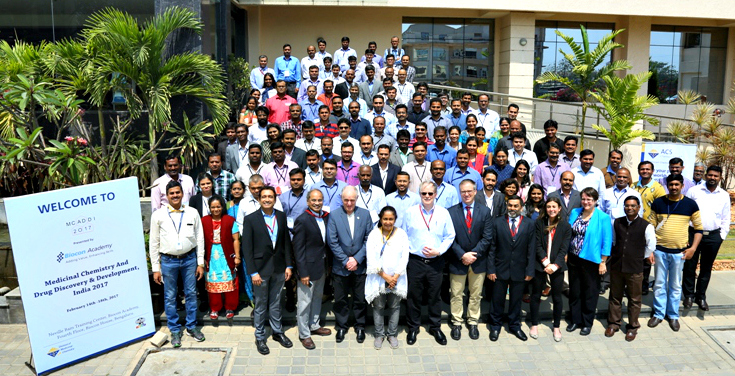 Chinappa on the MCADDI 2017 Advisory Board and was present for the entire course. Journal of Medicinal Chemistry Editorial Advisory Board member Nicholas Meanwell also attended and spoke at the course. MCADDI 2017 attendees were offered a complimentary 1-year ACS membership and ACS staff signed up 61 new members during the course, Greenlee said. Earlier this month, Journal of Medicinal Chemistry and ACS Medicinal Chemistry Letters published a joint Virtual Issue on Medicinal Chemistry in India under the leadership of Guest Editor Ram A. Vishwakarma, CSIR-Indian Institute of Integrative Medicine (Council of Scientific and Industrial Research). Read the Medicinal Chemistry in India Virtual Issue. 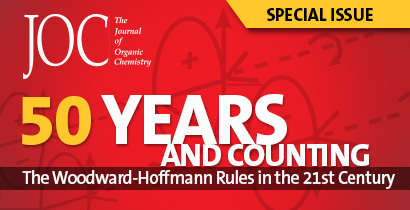 In 2015 and 2016 Journal of Medicinal Chemistry published 35 articles from India, 18 of which have a corresponding author based in India, and ACS Medicinal Chemistry Letters published 23 articles from India, 20 of which have a corresponding author based in India. 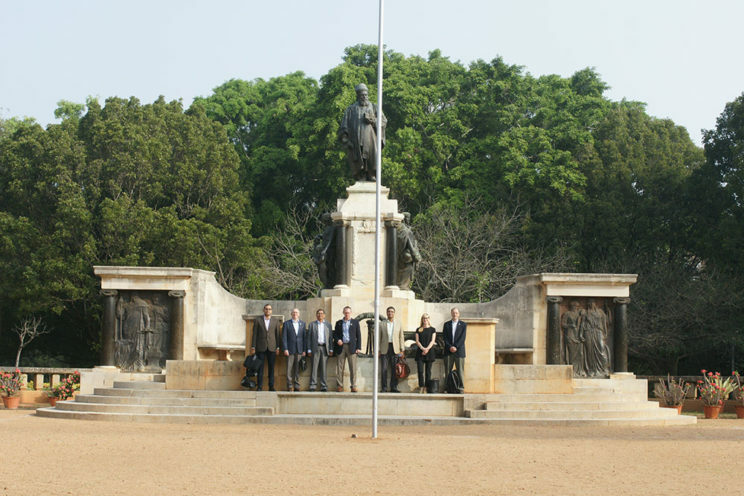 Both journals’ editorial teams would like to receive even more manuscripts from authors in India this year, says Managing Editor Lorraine Clark. If you’re doing medicinal chemistry research in India, please read each journal’s scope and submit a manuscript.